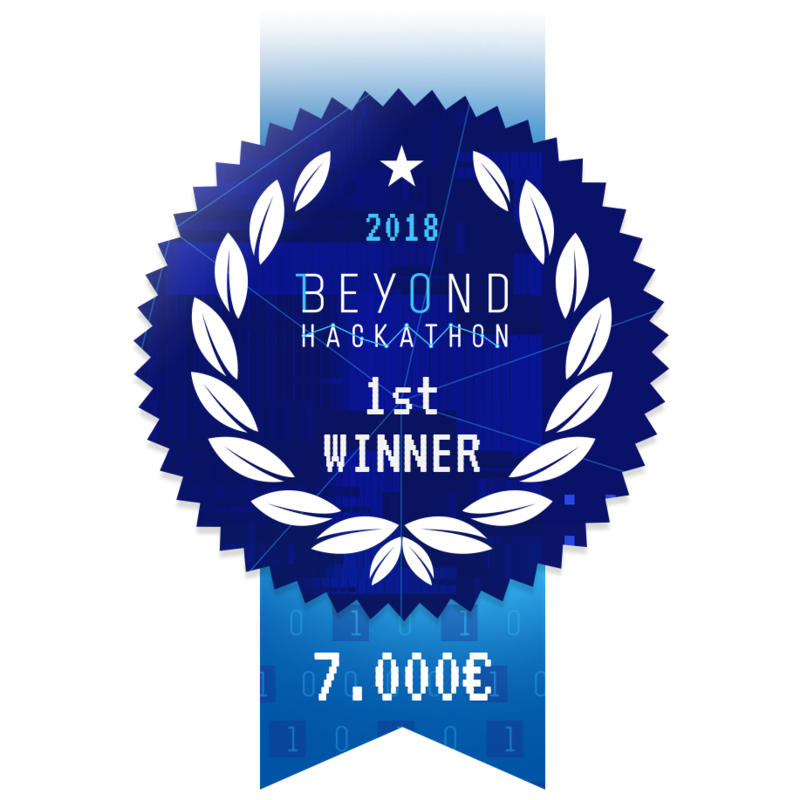 If you are a software developer, marketer, designer, business developer or startup, you can take part in Beyond Hackathon with your team. You must have already formed a team and prepared the idea you will develop at the competition. 1. Fill in your application form. 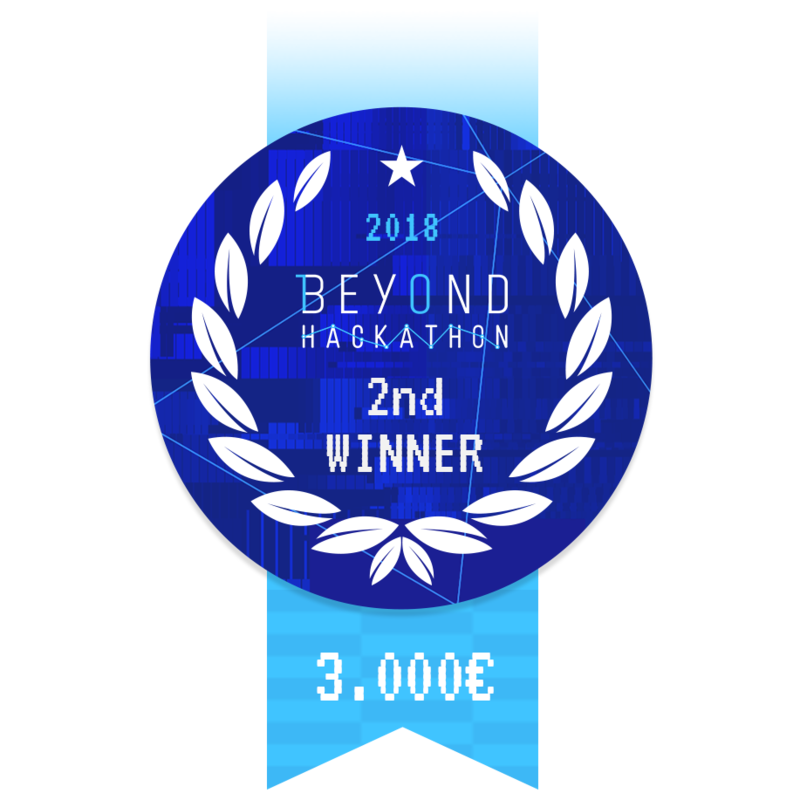 - Submission of applications for Beyond Hackathon 2018 ended. 2. If you are a team leader, fill in the Team Leader application form. You must fill in all the fields that describe your team’s idea. 3. If you are a team member, fill in only your personal details in the Team Member form and accept the terms and conditions. 4. Upload a video to introduce your idea and your team. We assess all the applications and shortlist the top 20. Read the terms and conditions for Beyond Hackathon. At Beyond Hackathon you meet mentors and discuss the idea you want to develop at the competition. If your team finishes in the top 2, it wins a cash prize: €7,000 for the winning team or €3,000 for the runner-up. Whatever the case, you have the opportunity to showcase your idea and your team to the media. You get to meet distinguished entrepreneurs and expand your professional network. You attend talks on business operations or technology. You come into contact with the global startup community. We encourage open innovation in FinTech. Through working together, we improve our services and enhance the banking experience of our customers. Beyond Hackathon is held for the 3rd year running by the Eurobank Innovation Centre, in partnership with The Cube and Foundation. To date 52 teams have taken part in the competition and the 7 most innovative ideas have received awards. - How can our customers manage their money more efficiently and have control over it? - How can we better leverage personalised customer insights? - How can we help SMEs do business better; manage their cash flows more efficiently; track revenues and issue invoices; develop an online expense management service? - How can we make sure our customers never miss a payment? - How can we leverage all the available channels to make payments seamless? - How can we become the bank of choice for customers in the PSD2 era? - How can new technologies such as Blockchain and AI transform banking? - How can gamification be used to enhance learning and promote financial literacy/education? - How can personal data availability and enabling technologies (Robotics, AR, VR) facilitate greater customisation? - How can credit scoring improve leveraging on social media and personalised data? - How can we help SMEs increase their financing opportunities? - How can we help SMEs get faster access to better credit? Eurobank will add a powerful tool to your toolkit by offering its APIs. We encourage you to use it to build solutions that improve the digital experience. The use of APIs is not mandatory; however, we highly recommend that you make the most out of the options they offer you. Prizes WHAT'S IN IT FOR ME? Dr. Marie Bountrogianni is Dean of The G. Raymond Chang School of Continuing Education at Ryerson University in Toronto, Ontario. Prior to joining Ryerson, she was president and executive director of the Royal Ontario Museum’s (ROM) Board of Governors. As a former Ontario cabinet minister, Marie served as minister of a number of portfolios. She authored and oversaw the Accessibility for Ontarians with Disabilities Act (AODA) from conception to royal assent, which established Ontario as a world leader in accessibility. 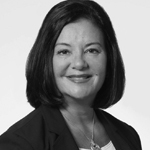 Prior to entering politics, Marie was the chief psychologist for the Hamilton-Wentworth District School Board. Marie has advised governments nationally and internationally on accessibility and other issues, including New Zealand, Ukraine and Japan. John Doxaras is a serial entrepreneur, investor and writer. 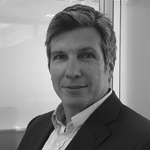 He currently serves as the CEO of Warply, a regulated mobile payments and loyalty provider in EMEA and APAC regions. 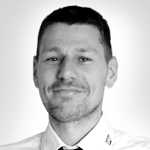 John also serves in the board of Blockpoint.io, PyData Athens, Exports Manager and SmartPassApp. He is invited speaker in fintech conferences and regular contributor in Marketing Week, Huffington Post and Instant. Studied theoretical physics and his research interests include econophysics, ethical finance, quantum computing and machine learning. 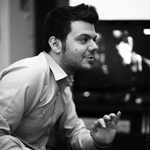 Dimitris "DKG" Kalavros-Gousiou is a 30-year-old technology entrepreneur and investor. He serves as Co-Founder and General Partner at Velocity.Partners, a pre-seed and seed Venture Capital Fund active in Greece and SEE. He is best known as the Founder and Curator of TEDxAthens, the most impactful platform for ideas, dialogue and talks in Greece. Prior to his role at Velocity.Partners, Dimitris co-founded Found.ation (a leading startup acceleration and innovation hub in the Balkans), TechTalent School (a coding school) and TechTalent Pool (a recruiting SaaS for developers). Astyanax is the CEO and co-founder of norbloc, a leading company on blockchain based regulatory applications. He has spent more than 12 years in Finance and Consulting, most recently as Associate Partner in McKinsey & Company, specializing in banking and corporate finance. He was previously Chief Commercial Officer in KnCGroup, the bitcoin blockchain pioneer, and Chairman of the Board in XBT Provider, the global leader in cryptocurrency ETNs. Stavros is the founder of The Cube Athens, a startup space that hosts some of Athens' best tech startups and most interesting tech meetups. Stavros has been involved in the startup ecosystem since 2007 and his business was started at a hackathon in 2009. He has since facilitated over 100 hackathons and other tech related events around the world among the most important being Eurobank's Beyond Hackathon which he has the privilege to host for the thrid year now. Wilson helps companies in keeping up with social and technological changes, innovating and exploring new opportunities. After his BSc and MBA from the University of Coimbra, Portugal, Wilson continued with an MSc in Strategic Innovation Management from the Rijksuniversiteit Groningen. He started at Startupbootcamp in 2016. Startupbootcamp’s mission is to support the world’s best entrepreneurs through all growth stages by providing direct access to an international network of mentors, partners and investors across multiple industries. They offer accelerator programs that focus on helping ambitious early-stage tech founders to shake up established industries. Startupbootcamp has over 140 partners that are among the top corporations in any industry worldwide. 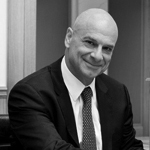 Mr. Stavros Ioannou is Deputy Chief Executive Officer and Executive Member of the Board of Directors of Eurobank. In 2005 he was appointed Chief Executive Officer at Eurobank A.D. Beograd, which he was heading for three years, until 2008, since when he continues to be a Member of the Board of Directors. He has served as Head at Barclays Bank PLC with responsibility in the areas of Retail, Private Banking & Operations and for the period 2013-2015 as Vice President of Cardling S.A. In 2003 he was elected Member of the Board of Directors of Millennium Bank. 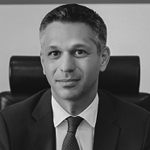 He was appointed Vice Chairman of the Hellenic Banking Association for the period 2015-2016, where he is Member of the Executive Committee since 2017. In April 2017 he was appointed Member of the Board of Directors of Grivalia Properties REIC. 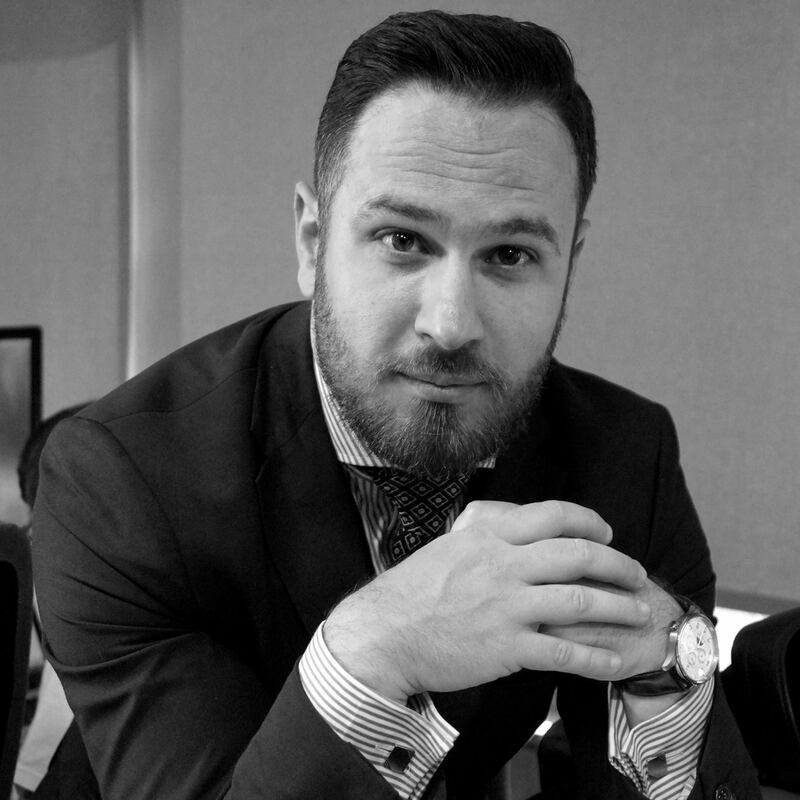 Konstantinos holds a Masters’ degree in Finance from Imperial College London and has completed high level executive education programs in Harvard Business School. He has significant and diversified experience in the fields of corporate finance, the broader energy sector and has also been active as an investor in ICT companies. With a track record in cross sector activities Konstantinos has Co-Founded Velocity.Partners VC fund, that focuses on tech companies in verticals where the Greek economy can provide global validation and real market traction. 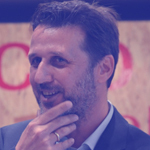 He has worked in the past with Renault VI in Brussels and later joined Société Générale Bank, Intracom group in Athens, PINS Olympic Consortium for the Athens 2004 Olympic Games, Positive Energy group and Sense One Technologies in London. 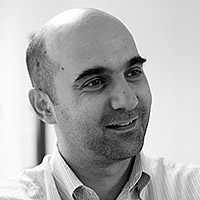 He is an active member and holds key positions in several international professional and academic associations as Imperial College Management School Alumni Advisory Board, CEO clubs Athens Chapter, EO Greece, Hellenic Economic Chamber and he has been a visiting lecturer at the Athens University International MBA program. 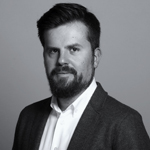 Fivos is currently a Venture Partner at Speedinvest (Si), a leading Pan-European early stage technology VC fund and one of the most active FinTech investors in Europe. Fivos is helping Si establish its early to growth capital FinTech Opportunities Fund (Si F) fundraising, sourcing investment opportunities and supervising portfolio companies when needed. He is also a Managing Partner at Pipeline Capital Management, an emerging markets alternative asset management & advisory firm based in London. An entrepreneur at heart, he has previously incubated Taxibeat in Brazil and set up a real estate private equity fund in Rio de Janeiro both of which were successfully exited. His career spans various roles in financial services around the globe. 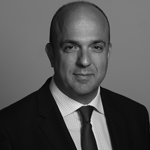 He started in 1999 at PwC in California advising private (pre-IPO) or publicly listed telecom, media & technology (TMT) companies and later joined ABN AMRO’s European TMT M&A team in London. From 2006-2010, Fivos was a Vice President at Credit Suisse’s Fixed Income Investment Banking Division in London. He holds a B.A. in Business Economics from UCLA, an MBA from INSEAD and is also a CPA in California. Anestis is Eurobank’s Group CIO overseeing IT activities across the 7 countries that the group operates. 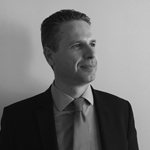 He has 20 years’ experience in Financial Services & Consulting, working both on a strategic and operational level. He joined Eurobank in 2001 and has held various management positions in the areas of IT Applications, Strategy & Enterprise Architecture. He also served for two years as Head of Business Planning & Management office for the Group COO & International Activities, before been appointed as Group CIO. 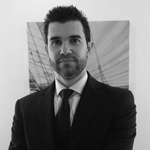 Prior to joining Eurobank, he was worked in IT consulting for Deloitte & Touche in Athens and Logica plc in London. He holds a degree in Applied Informatics from Athens University of Business and Economics and an MSc in Computer Science from Queen Mary and Westfield College. Mr. Vassilis Trapezanoglou is an Executive Advisor at Viva Wallet SA, President and Owner of DISC SA - Digital Innovation Services Center. He has studied Mathematics (Salonica), Applied Informatics (Grenoble, France) and post-graduate Regional Development (Panteion, Athens). During his career he has assumed the responsibilities of IT Manager at Oil Refineries (ELPE, Motor Oil) and Xiosbank, of General Manager for Retail Banking, Electronic Banking (Winbank), IT & Organization at Piraeus Bank and of Executive Counsellor at Eurobank (IT and e-Business). He has served as Chairman and/or CEO of IT and Services companies (LogicDIS, e-Solutions, Business Exchanges, e-Vision, Exodus, Piraeus Direct Services, ABC, Multifin, Sigma Securities). Member of BoD at DEH (2000-2004), Vice-President of TESYP, member of Investment Committee of TANEO and member of Executive Jury for European ICT Prize during 13 years. Member of BoD and President of EPY, the Greek Association of IT Scientists (1997-1986). 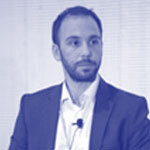 He has undertaken several innovative initiatives in the digital area and he is the author of the e-book “Innovation and Technology: The role of ICT for extrovert and customer focused business models” (2010, available at www.think-act.gr) . Since 2011 he supports, as a mentor, evaluator or judge, several initiatives and institutions promoting Innovation and Entrepreneurship, such as incubators, accelerators, innovation competitions (Egg of Eurobank/Corallia, ACEin and e-nnovation of Athens University of Business & Economics, Innovathens of Technopolis). He is a member of ICT Steering Committee at General Secretary Research & Technology. Born in Sochos, Salonica (1947). 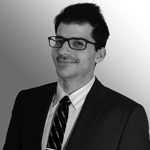 Chris Gasteratos now 26, is an Analyst at Marathon Venture Capital for the past 2 years. He started trading stocks at the age of 18 acquiring professional experience through stop-losses and margin calls. Still, he managed to create a sizeable, high performing portfolio of a number of private investors. Chris holds a BsC from the University of Piraeus. Upon his graduation, he ventured to set up a secondary market for unlisted startup equities in the likes of Second Market©. However, the project never took off. Soon after, he joined Marathon Venture Capital to assist in raising the fund. Nowadays, Chris is entrusted with a wide range of responsibilities from deal flow management to assisting portfolio companies in various operations. 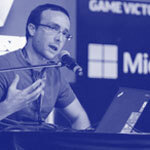 Dimitris-Ilias Gkanatsios works as a Senior Technical Evangelist at the Developer Experience group in Microsoft Greece. Spanning over a decade of experience in software business, his primary focus is to guide 600 software houses and 500 startups in Greece to use innovative cloud solutions and develop their business. 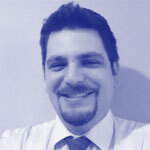 He has a degree in Informatics and Telecommunications from the University of Athens and an MSc in Cloud technologies from the University of Piraeus. In the past, he has worked as a software engineer in leading software houses and as a CS professor in private universities. Moreover, he participated at a startup, creating world-class educational games winning numerous awards and thousands of customers. Feel free his blog at www.dgkanatsios.com where you can read about various topics such as IoT, Cloud, chatbots and game development. 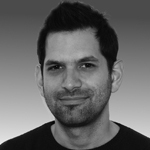 Dimitris has been practicing, teaching and preaching Agile and Scrum since 2011. He holds a PhD in High Performance Computing and an MBA. He has considerable experience in the Software Industry as a Project Manager and a Project Management Office head. He is a certified PSM I, PSPO I and PMP. In 2016 he founded AgileForValue.com, and in September 2016 he joined Accenture. Dimitris is an active member of the Greek Agile Community. 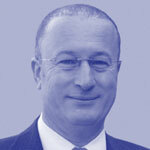 Gasser is the Head of Group IT Architecture and Integration Management in Eurobank Group. He is a business oriented senior IT executive with 28 years’ experience in Business and IT Consulting, Business Integration, IT Strategy Formulation, IT Transformation, IT Governance, Cross-functional IT Management, Program Management and Solution Integration. Since he joined Eurobank Group in 2004, he led various IT units and functions including Strategy & Governance, Application Management, Solution Delivery, Infrastructure and Operations Management, as well as the delivery & optimization of critical business and IT capabilities. Before joining Eurobank Group, he worked in Accenture as Partner in the Financial Services Market Unit, where he led Solution Engineering and Solution Operations service lines in Greece and managed major Financial Services clients’ engagements and accounts. He holds a Degree in Electrical Engineering, Telecommunications and Electro-physics from the University of Alexandria, Egypt. Nikos is engaged in Strategy & Analysis for the Small Business Banking Segment since 2015. His field of activity covers the transactional banking, financing and advisory support to SME In terms of improving operational efficiency. Nikos works in Eurobank since 2006 and has experience in Retail Banking, having served as Relationship Manager in the Branch Network. Also has experience in Product Development (loan & transactional products) for SMEs. He is a graduate of University of Piraeus, Department of Economics. Data scientist who is an Agile and UX enthusiast. She is interested in the trends and challenges of the startup community. Xanthippi has participated in various Startup Weekends and works at UK based OCL. At OCL she is part of the team creating frameworks and applications for the music industry in the areas of authentication, analysis of relations between actors and objects and their related permissions clearance with security, anonymity and privacy. 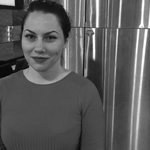 Xanthippi graduated from the Technical University of Crete, as a Production and Management Engineer with a specialization in Operational Research. 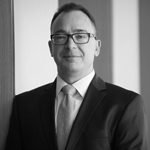 Andreas has more than 15 years’ experience across Western & Eastern Europe, having worked in commercial & remedial positions in the United Kingdom, China & the Ukraine. Andreas joined Eurobank almost a decade ago, as Head of Consumer Lending in Universal Bank (Ukraine) & currently serves as Head of Loyalty Programs & Portfolio Management for the Bank’s Individual Banking General Division. He holds an MBA degree from SDA Bocconi (Italy). Nikos Oikonomakis is employed the past 3,5 years by MasterCard as customer delivery manager for the Greek, Cypriot and Maltese market, being responsible for all new innovative technology projects (such as Masterpass, MDES, mobile proximity payments, InControl). In the past, he has worked in Alpha Bank, where from the position of business analyst/project manager was responsible for the implementation of the first contactless card product and the first mobile payments application in the Greek market. Moreover, he has worked in Eurobank as junior developer in the Front end card system of the bank. He is a graduate of the Polytechnics school in Patra in Computer Engineering and also has a MBA in IT diploma from University of Leicester, UK. Costis Paikos engages in the digital business of Eurobank Group since 2002. Today, as the e-Business Services Subdivision Manager of Eurobank Group e-Business Sector, he is responsible for the development and marketing of the Bank's award winning electronic services for retail customers, such as e-Banking, m-Banking, e-Statements, Alerts. Additionally, he also specializes in Interactive Marketing, having designed the implementation strategy for several initiatives in the digital media. 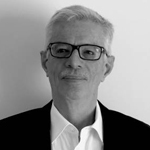 Since 2009, he has been a Board Member of the Hellenic Interactive Advertising Bureau (IAB Hellas), responsible for the financial and the educational activities of the organization. He holds a Bachelor Degree in Biomedical Engineering from the U.K and Postgraduate Degrees in Business Administration from the U.S and Greece. 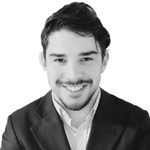 George is the Investment Analyst of the Velocity Partners Venture Capital. He holds a MSc in Mechanical Engineering from the National Technical University of Athens (NTUA) with specialization on Robotics & Automation and Industrial Management & Operational Research. He has founded two startups where he led the product design and development efforts. As a member of the Control Systems Laboratory (CSL) of the NTUA he has worked on robotics projects for large institutions and has gained substantial experience on autonomous control, hardware implementation, mechanical design and manufacturing processes. Yannis is a well experienced Treasury personnel, having rotated since 1999 through all the basic Treasury roles (MM, FX, FI Trader, Sales O‑cer, Head of Desks), currently running a team of 20. He is familiar with risk management and enjoys to discuss with clients about investments, hedging strategies or even for daily routine Treasury operations. The last 3 years allocates most of his time to more managerial issues like product offering, optimization of procedures, coaching people, regulatory compliance, operational risk and crisis management. 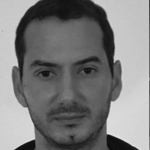 Achilleas is a Mechanical Engineer from the NTUA (National Technical University of Athens), and also holds a Master’s degree in Business Administration (MBA). He joined the Bank in 2000 and throughout these years he has been responsible for the strategy, development, marketing & promotion of the Bank’s e-Channels & e-Services (i.e. internet banking for individuals & businesses, mobile banking services, payments & e-commerce, websites & social media, etc.). 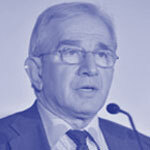 He represents the Bank in several committees, such as the Hellenic Bank Association for the entire eBanking Channel, as well as for specific projects (currently e-Government initiatives, MyBank payments scheme, e-Invoicing, mobile P2P payments) and has served for 6 years as the General Secretary for the Interactive Advertising Bureau Hellas. Before joining the Bank his professional & management experience derived from large multinational FMCG companies (Metaxa/IDV & Diageo), in the areas of Brand Management/Marketing, International & Strategy. Olga drives initiatives that apply Lean Six Sigma Methodology to improve and simplify processes within the Retail Business and thus transform the Customer’s journey. In the past, Olga has been instrumental in shaping Retail transaction banking strategy, driving growth and profitability. Since 2008 she has been in charge of daily transactions pricing strategy and transactional services’ development for Retail Customers. 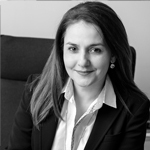 Olga holds an MBA from ALBA Business School, an MSc in Economics from Athens University of Economics and Business and a BSc of Physics from Athens’ University. 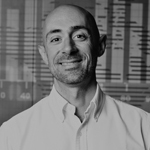 Christos is an entrepreneur with a good grasp on both the STARTUP scene and the DIGITAL PERFORMANCE market. From a young age, Christos has undergone multiple times the difficulties and the pressure of a startup, participating in several successful projects such as Yourse (the first Greek Job Search Engine), and E-MAILiT (one of the biggest social media sharing platforms). Later, as the Head of Quizdom™ (one of the the biggest Quiz apps in the world with millions of users) he lead its global expansion. 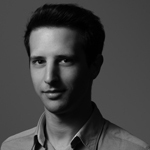 Moreover, Christos has founded JNBC, a Digital Performance Agency specializing in e-commerce platforms. Dr. Stavros Vassos is passionate about Artificial Intelligence (AI) as an interface to the modern computing world. He holds a MSc and PhD in Computer Science from the University of Toronto in Canada, and a Diploma in Electrical and Computer Engineering from the National Technical University of Athens in Greece. During 2012-2016 he worked as an Assistant Professor in the Sapienza University of Rome in Italy. In 2016 he moved to Athens and co-founded Helvia.io, a startup that develops custom AI business solutions and Chat/Voice-enabled Assistants. He teaches and works in a variety of scenarios related to Interaction Design, Internet of Things, Videogames, and Chatbots! 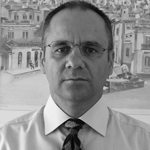 Eleftherios Vlachogiannis, has an extensive experience in the financial services industry. Since 1998, he has worked for Citigroup Inc., where he fulfilled various client-facing roles in Transaction Banking Services (Global Custody, Securities Services, Fund administration) across various markets (Greece, UK, Nordics and Netherlands). In his current role, he is heading Cash and Trade Service for Eurobank Ergasias S.A having both product and commercial responsibility of Cash Management & Trade Finance services. He holds a BA degree in Business Administration and Computer Science from the American College of Greece – Deree. He has been participating as a keynote speaker in a number of national and international conferences and industry events. 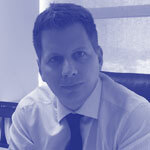 Alexandros joined Eurobank almost four years ago, as Head of Business Development for the Personal Banking. Currently he serves as Head of Strategy and Analysis for Affluent Segment. Alexandros has more than 17 years’ experience in Wealth Management having worked in Citibank for 13 years where in his last position was the Head of Citigold Personal Banking. He holds an Msc in Management from University of Surrey (UK).